is located at 151 Main St.
beautiful Mt.Shasta in Northern California. 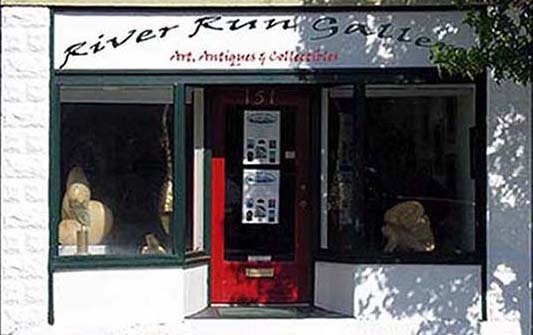 Founded by Sharon LoMonaco and David Gochenour in August of 2004, River Run Gallery features an eclectic mix of art work by Sharon and David as well as many other local area artists. The River Run Gallery is a working artist studio ... when the artist is working the gallery is open ... also by appointment.